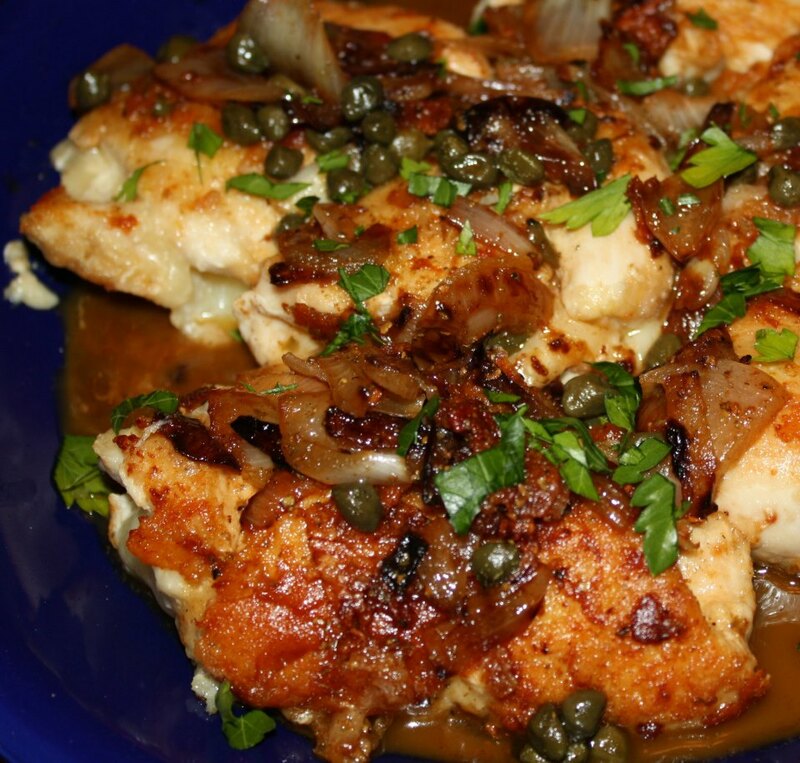 A delicious collaboration of Chicken Saltimbocca and Chicken Piccata! Once the breasts are golden brown and have cooked through (about 5 minutes per side) and have lost their pinkness, remove to a plate and cover to keep warm. Drain off all but a couple tablespoons of olive oil from the pan. Place back over medium-high heat and add the shallot. Sauté for approximately two minutes, scraping up any browned bits from the bottom of the pan. Add the garlic, sauté for another minute, then add the wine, continuing to scrape up any bits from the bottom of the pan. Thanks to Rachel Bradley for sharing her recipe with Olive Us Oil & Vinegar Tasting Room!